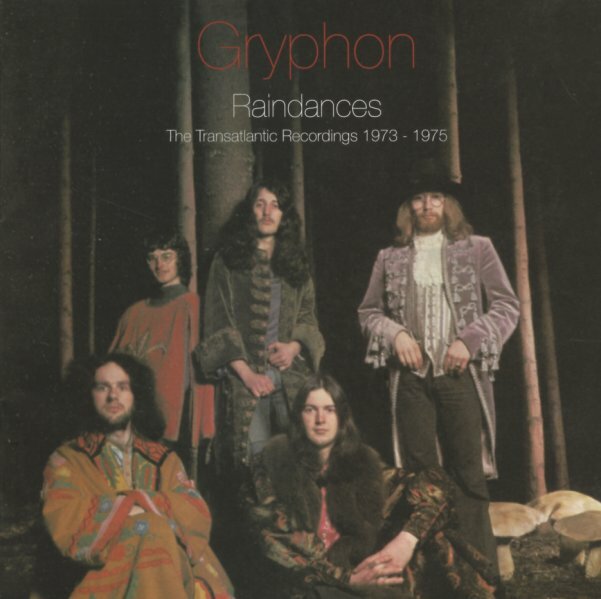 Gryphon look like real Renaissance men on the cover – and they often sound that way, too – given that some of their instrumentation includes older woodwind instruments like the bassoon and crumhorn! Yet as the group grew, they also quickly picked up more electric elements too – yet still found a way to use these in modes that evoked a much more ancient face of England – in a style that was quite different from the straighter folk of the generation that included Pentangle or Fairport Convention, with a flavor that's maybe a bit like that of the great Jethro Tull album Songs From The Wood – although some of the later work also brings in some surprisingly strong progressive elements. This 2CD set covers the best period of the group's career – early 70s records for Transatlantic, including work from the albums Raindance, Red Queen To Gryphon Three, Gryphon, and Midnight Mushrumps – 30 track that include "Lament", "Second Spasm", "The Astrologer", "Tea Wrecks", "Juniper Suite", "Kemp's Jig", "Touch & Go", "Pastime With Good Company", "The Devil & The Farmer's Wife", "Don't Say Go", "Wallbanger", and "Down The Dog". © 1996-2019, Dusty Groove, Inc.